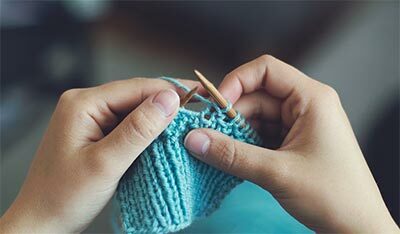 As the demand for more and more crochet and knitting patterns has grown over the past decade, so has the demand from consumers for easier to read, accurate patterns. Concerned about the growing number of pattern complaints by consumers, the Craft Yarn Council members convened a special meeting to identify challenges at every level of pattern production — from the designer, where the pattern process begins, through to the final editing/printing process. The committee spoke extensively with editors and designers and all agreed our ultimate goal is to keep today’s knitters and crocheters enjoying these crafts for years to come. With this objective in mind and based on industry input, the Council has compiled the following helpful designer guidelines. They include everything from tips on submitting a project idea, to common pitfalls to avoid, and finally, to guidelines that should always be followed when submitting your final project. These guidelines do not replace those of individual companies. However, many will follow them, and they represent the base standards, which have been adopted by all members of the Council and industry publishers. Accordingly, if designers want their submissions to be accepted, it is important for them to incorporate these standards into their project patterns. You Want to Submit a Project Idea… Where Do You Start? You want to submit a project idea to a yarn company or magazine but don’t know where to begin. Here are a few basic guidelines. Once you have reviewed "Where to Start," you are encouraged to read "Designers' Pit Falls" and "Congratulations! You’ve Received the Go Ahead." Contact the company or magazine and ask how they prefer to have project ideas submitted. If you are not sure how to contact them, check the magazine’s masthead for an address or a yarn label to see where a company is headquartered. 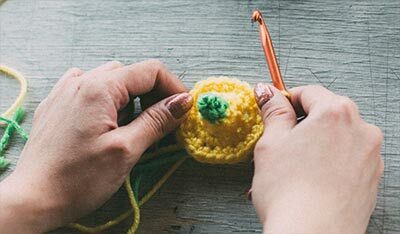 Generally, companies/magazines will ask you to submit a sketch and knitted/crocheted swatch, rather than a completed project, however, many will consider a completed project. Submit your design concept to ONE company or magazine at a time. If a company/magazine accepts a design, they will expect it to be exclusive to them. When you submit a swatch/sketch or sample, remember to label it with your name and contact information, including your address, phone number and area code, and e-mail address. INCLUDE A POSTAGE-PAID ENVELOPE WITH YOUR SUBMISSION IF YOU WANT IT RETURNED. It is the responsibility of the designer to pay for postage. Many companies/magazines will confirm that they have received your submission and will tell you approximately when they will get back to you, or they may return your idea immediately because it does not fit their needs. Generally, you can expect the submission review process to take between 2 to 8 weeks. Why does it take so long? Manufacturers or editors might be preparing for trade shows or rushing to meet a magazine deadline. REFRAIN FROM CONTINUALLY CALLING ABOUT YOUR SUBMISSION. If your design idea is accepted, generally a design fee will be discussed in advance and a contract issued. At this point, we strongly urge that you read the information contained at this web site regarding Designer Pitfalls and the dos and don’ts of project submissions.